The Gear Grinders would like to thank all our sponsors and participants for making this 1st Annual Nostalgia Car Show a huge success. We most certainly could not have done it without your wonderful support! We would also like to thank all the individuals who volunteered and gave untold hours of their time to make this such a success! Thanks to the sponsors listed below for helping us make this such a fantastic Car Show! 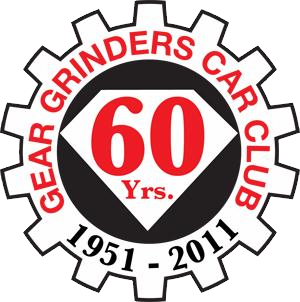 To celebrate our 60th Anniversary, the San Antonio Gear Grinders have elected to partner with Texas Timing Assoc. and host the First Annual Nostalgia Car Show & Drag Racing Event to be held at the San Antonio Raceway, located at Interstate 10 in Marion, TX. on October 22nd, 2011.